The chair of the House Homeland Security Committee warned the nation Monday during a wide-ranging address on national security matters, "We are a nation at war." Rep. Michael McCaul (R., Texas), in a State of Homeland Security address delivered at the National War College, flatly said: "Make no mistake: We are a nation at war." McCaul’s comments come on the heels of a major terror attack in San Bernardino, California that was allegedly committed by followers of the Islamic State (also known as ISIS or ISIL) terror group. "Our own city streets are now the front lines," McCaul said. "Indeed, San Bernardino was not an isolated event. Terrorists are on the offensive, working to deploy operatives to our shores and to radicalize our citizens to commit acts of violence." McCaul said that the U.S. homeland is experiencing the "highest threat environment since 9/11" and that the FBI is investigating "nearly 1,000 homegrown terror cases" across all 50 states, most of which are related to the Islamic State. "Already, federal authorities have arrested over 70 ISIS supporters in our country," he said. In the wake of San Bernardino, Islamic State affiliates have been connected to 19 "terrorist plots or attacks here at home," McCaul said. "These include plans to murder tourists on Florida beaches, to set off pipe bombs on Capitol Hill, to detonate explosives at New York City landmarks, and to live-stream an attack at an American college campus," he said. This year has been the "single most active year for homegrown terror we have ever tracked," according to McCaul, who said "there were more homegrown terror cases in the first six months of 2015 than any full year since 9/11." McCaul went on to blast the Obama administration for failing to take concrete steps to battle the Islamic State and prevent further attacks on the United States. "I was disappointed last night when the president failed to lay out any new steps to fight this menace," he said. "Instead, he doubled down on a strategy of hesitancy and half-measures." He said the mass shooting in San Bernardino should serve as a "wake-up call" to Americans and U.S. lawmakers. "This attack should not just be a wake-up call. It should be a call to action. 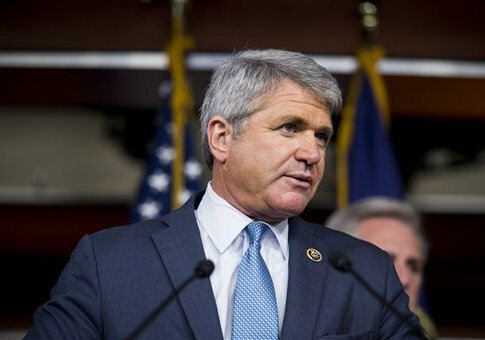 For far too long, we have allowed extremists to reclaim their momentum, surging from terrorist cells into full-fledged terrorist armies," McCaul said. "As a result, I believe the state of our homeland is increasingly not secure, and I believe 2015 will be seen as a watershed year in this long war—the year when our enemies gained an upper hand and when the spread of terror once again awoke the West." McCaul lambasted some of his congressional colleagues for denying that the United States is under attack by terrorist forces. "We are not acting early enough to keep terrorist groups from spreading, and there are some in Washington who are in denial about the threat we face," he said. The Obama administration has repeatedly said the United States is immune from attacks, despite a series of incidents fueled by extremist ideology. "I have had enough," McCaul said. "We cannot be blind to the threat before us. ISIS is not contained—it is expanding at great cost to the free world. In November, the group managed to conduct three major terrorist attacks on three separate continents in just three weeks." The Islamic State "is now more dangerous than al Qaeda ever was under Osama bin Laden," McCaul said, adding that the terror group’s extremist ideology has "spread into the West, including into the United States."